Valerie Elaine de la Valdene "Shark Girl", passed away on July 4, 2014. She is survived by her parents, her brother Johnny, sister-in-law Michelle and her nieces and nephews: JP-20, her god-daughter Brittany-17, Marc-15, Danielle-12, and Jacquelyn-12. Valerie had a deep a deep admiration for her god-parents, Jimmy and Janie Buffet. Valerie grew up in Palm Beach, FL and attended the Palm Beach Day School and Tulane University. Valerie and her former husband, Douglas Siefert, traveled the world together filming sea-life from sharks to whales and her favorite, sea horses. 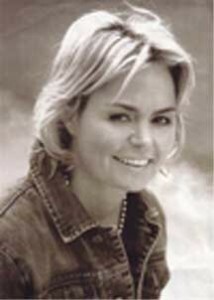 Valerie was an accomplished underwater photographer and was inducted into the Women Divers Hall of Fame in 2007. Noted for filming “Hammerheads: Nomads of the Sea,” Valerie talked about illegal shark finning on television with celebrities such as Geraldo, Jim McLaughlin and Jane Pauley, and was featured on Shark Week, CNN and the Montel Williams show. She also studied cooking under famous chef Mario Batali. Valerie’s love for underwater photography, children and animals, led her to the Galapagos where she called home. In the Galapagos, she volunteered at a local school, giving local children an alternative to fishing and finning, and also started a cooking school for the local children. Valerie loved helping others and had friends all over the world. Our very deepest condolences to her family. “Douglas Seifert has shared the following very sad, very upsetting update on the death of Valerie de la Valdene (2007). "Despite the initial online newspaper report from Galapagos Online calling Valerie's death a suicide, the initial investigation report has finally  after three weeks  been released. It quite clearly indicates Valerie was murdered after 11pm on July 4th in her rented house on Santa Cruz, Galapagos Islands. The investigation continues and in time, it is likely the murderer will be discovered. It is a shocking, horrific tragedy. But there is no question that she was the victim of violent crime."